While this project was a bit of a departure from our typical building and real estate projects, we were thrilled to be part of it! With the addition of these beautiful bridges, visitors of the park can access and enjoy the property on both sides of the White River. 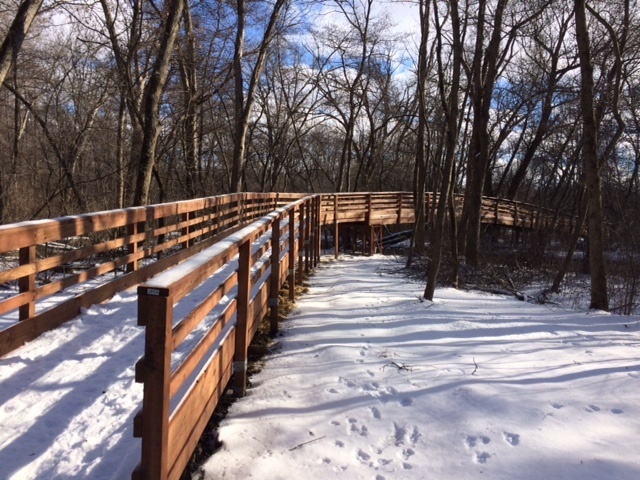 Be sure to visit the Park and take in the beauty and serenity, all made possible by the generous donation of some awesome Walworth County families! You can get more information about the park here.